Gateway Technical College will hold an information session a new Ophthalmic Medical Assistant program 10:30 a.m. to noon Feb. 15 in its Student Services office on its Racine Campus, 1001 S. Main St. The program is a shared program with Lakeshore Technical College. That means that while four of the 11 technical diploma courses are Gateway courses – the remainder are Lakeshore courses – nearly all of them can be taken on the Racine Campus. General Education courses will need to be taken at Gateway or online. Students attend classes using instructional television in conjunction with an instructor-led, hands-on lab at Racine. Clinical experience will be offered in the Racine area for Gateway students, as well. Students will receive a diploma from Lakeshore upon completion. Ophthalmic assistants take measurements, prep patients for procedures, perform tests and take photographs and learn to fit contact lenses. 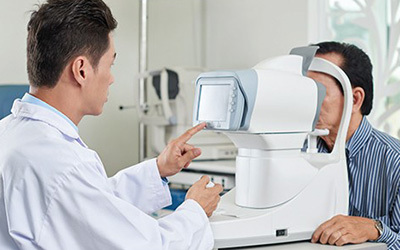 They also check visual acuity and dilate the eyes for examination by the optometrist or ophthalmologist.